A brief digest of a few of the things we've found out as we went along. As it's starting to become more popular to use Digital Command Control (DCC) I'll explain some of my findings and ideas. 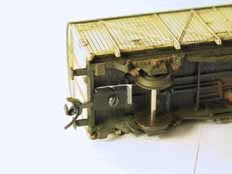 The Kadee couplers pages reflect our experiences of fitting this excellent family of couplers to both US and European stock. I'm sure there'll be some other stuff up here in the fullness of time! 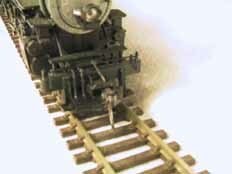 ...and Kadee #58 'scale' couplers on Southern Pacific stock. 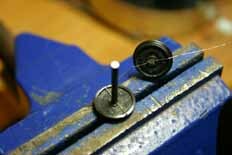 Making live-axle wheelsets suitable for 'American' style pick-up. 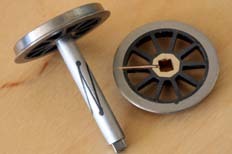 Split axles in 0-gauge, mostly aimed at producing low-friction, reliable pick-ups for trailing wheels. A Few Good Products Part 1. 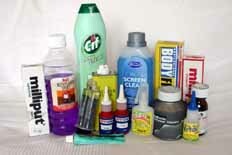 Recommended adhesives, retainers, fillers and cleaners. A Few Good Products Part 2. 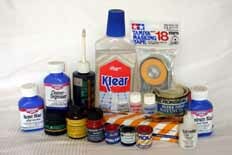 Recommendations for paints, finishing aids, varnishes and lubricants. This page last updated 27/09/2009. Copyright © Euram Solutions and Steph Dale 2004 - 2009. All Rights Reserved.